Your credit score will determine the interest rate you will pay when borrowing money. You have a vested interest in keeping your credit score as high as possible. 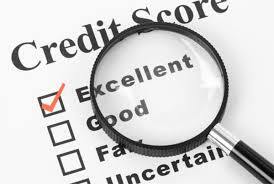 There are 3 different credit scores for everyone one from each of the credit bureaus. The 3 credit bureaus are Transunion, Equifax and Experian they each have a slightly different ways of calculating your score. Follow the steps listed below to improve your credit score. You can’t improve your credit report until you know what to work on. Your credit report will show you, which accounts are bringing down your credit rating. Look for any errors including loans that were paid off but still showing open. There is a Fair Credit Reporting Act, requiring the credit reporting agencies and merchants to report accurate information. Purchases will affect the ratio between your credit card balances and your account limit. The higher your balances are, the more your credit score is affected. Whenever possible pay cash for purchases instead of using your credit cards. Set a budget, this will help avoid unnecessary expenses and help you become more fiscally responsible. Paying down your balances will improve your credit score. If you have to use a credit card use the one with the lowest interest rate, first. Always pay your bills on time, avoid late payments. Late payment will lower your credit score. This accounts for 30-40% of your credit score. Pay at least the minimum payment, but stride to pay more so eventually the balance will go away. If you have several outstanding balances, it is counter intuitive but try to pay off the small ones first, this will help you feel you are making progress managing your debt. The amount of debt that you are carrying can account for 30%-40% of your credit score. Go beyond paying the minimum balance, since it will take forever to zero balance your accounts if you don’t. Paying down your debt will improve your credit score. Think of where you can budget to save money. Any extra saving can be used to pay down your debt. This will take discipline but it will be worth it. To prevent lowering your credit score avoid applications for credit cards and loans. These applications will trigger credit inquires that will lower your credit score. The reason new accounts affect your score is that it will lower your average credit age; depending on how many accounts you currently have open. If you have open accounts that have been paid off, leave them open if they don’t carry an annual fee. Part of the score is based on a ratio of outstanding credit used to the total available credit. The credit card industry has begun closing inactive accounts. You may have to use credit cards occasionally to keep accounts open. Pay off debt in collections, or past due debt. Contact the collection agency and see if you can bargain with them to reduce the amount. The further you fall behind you are on your payments; the more it will hurt your credit score. Talk to your creditors about your missed payments. They may be willing to re-age your account so your credit report shows your account has always been paid on time. For medical bills reach out to creditors, try to arrange payments so they won’t send your account to collections. If you’re in a situation where your having trouble making your credit payments (e.g. just lost your job, medical problem, or anything else), speak with your creditors about your present situation. They may have a temporary hardship program that will allow for reduced monthly payments until you can get back on your feet.